Hello everyone! 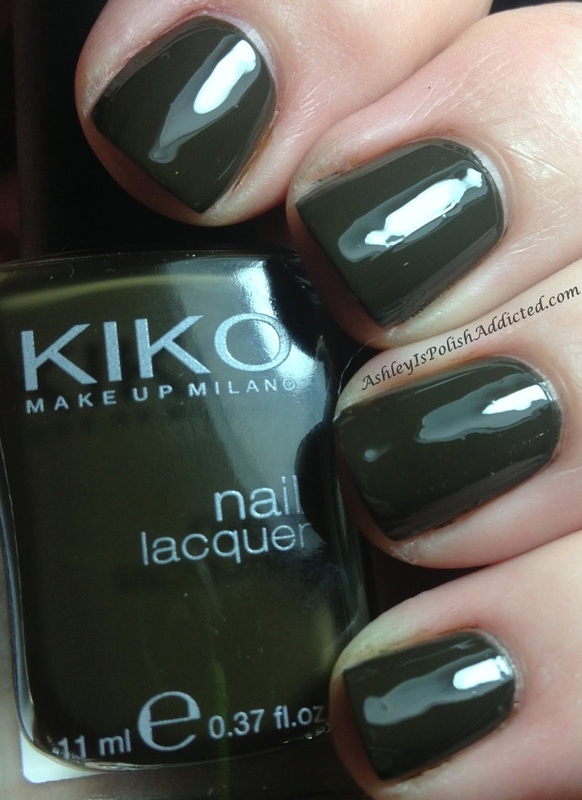 I have a quick NOTD post this afternoon. 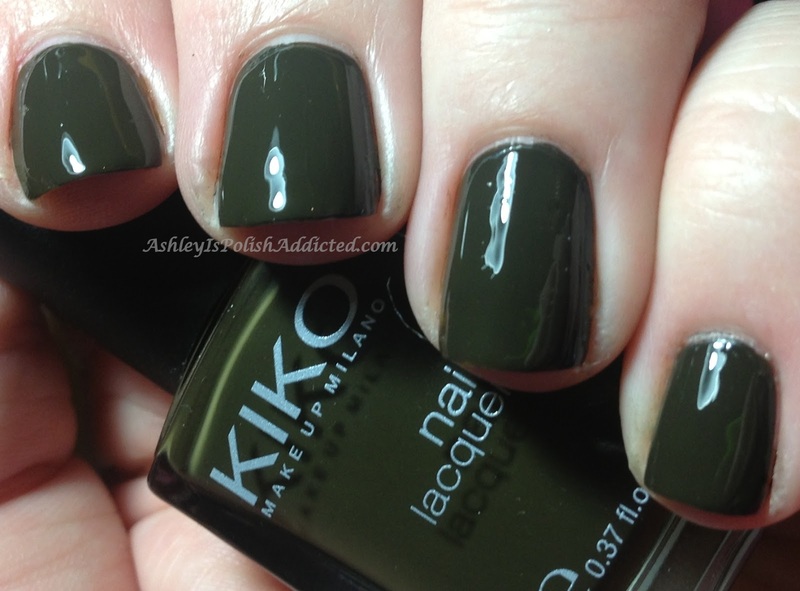 Kiko is quickly becoming one of my favorite brands - unfortunately they are hard to get your hands on if you live in the US! The formula on all of their polishes that I have tried so far has been superb and their brushes are my favorite out of all the brands of polish I own. 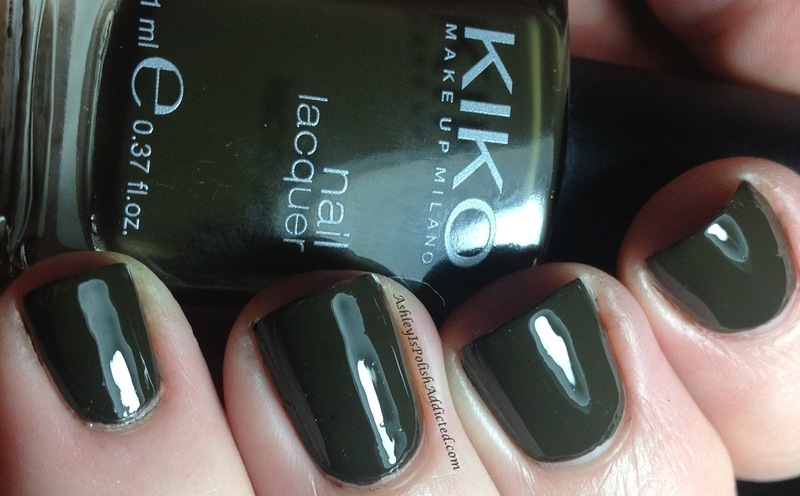 Kiko #393 Havana Green is a lovely "military" green creme - perfect formula, no complaints. This is 2 coats and no topcoat. I took some comparison photos with Dior Amazonia but they didn't turn out well so I am linking Pointless Café's comparison between those. You can find it here. At this time I do not know of anywhere in the US that you can purchase these - I hope that changes soon! They are available in stores in France and Italy and online throughout the UK and Europe.